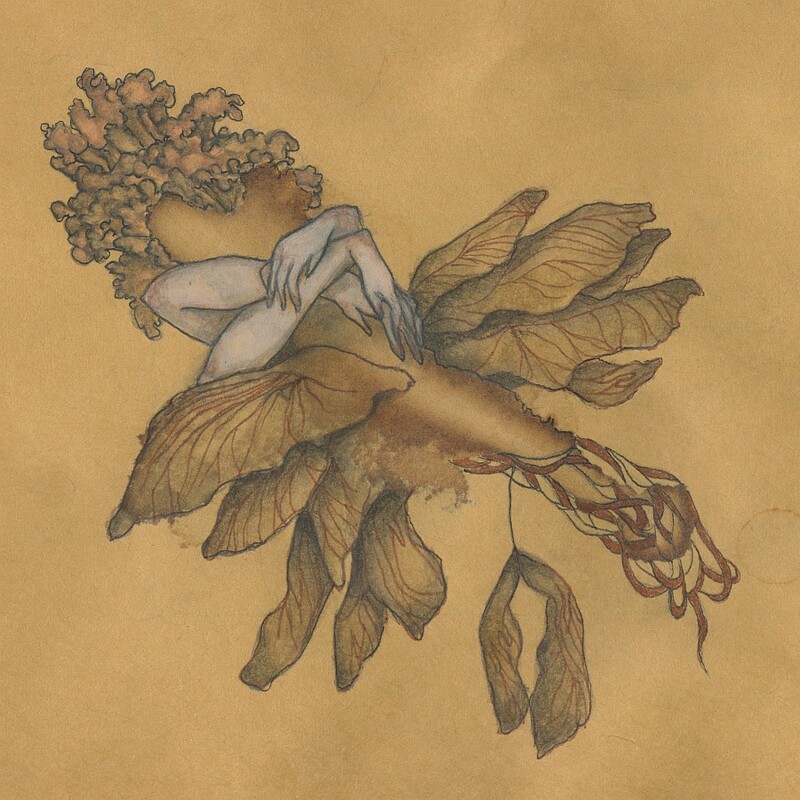 With shades of Bright Eyes, Denver's Maudlin Magpie's album Two Maple Keys opens with a somber, self-aware, story-telling hush. "The Garden" is an ornate, quiet track that feels like Spring or Autumn, a season when life is coming from nothing or beginning to resign itself to an end. As an opener it serves as an introduction, first to singer Jason Horodyski's voice, and second to an album wide tone that's poetic, beautiful and at times devastating. Not to worry, things get brighter, louder and more lush over the course of these thirteen tracks. Importantly, even as the sound increases in volume and complexity, it never loses its intimacy. This is not a stadium rock album, nor is it even a stadium folk album (think later-career Neil Young sans Crazy Horse), but it's not as easily reductive as a coffee shop album either. Maudlin Magpie feels close, physically and emotionally. There's is a sound of Simon and Garfunkel, purposeful and lost at the same time. Don't confuse "lost" for a failure here: it's a point of success. Where bands like Fleet Foxes create epic, sweeping, brief narratives that feel sent down beside the unattainable manna of Heaven, Maudlin Magpie is very much of this earth. "A Faint Light" exhibits incredible harmonies with Horodyski and Robin Walker whispering melancholy to one another. "Sunrise Cafe" has a similar elegance. In fact, Two Maple Keys is a treatise on elegance. Even as its quiet, philosopher's tone may discourage some, it's a soundtrack for the thoughtful person. If you imagine yourself walking through the rain, with the sun barely breaking through the thick clouds, soaked but smiling, that's the feeling this album creates. "The Wind-Up Bird" plays that role perfectly, contemplating time and space and life, but the highlight of the album for me is "Naomi's Song," a brilliant piece of call-and-response reminiscent of Stars. At times fiery, but often beautiful reserved, Two Maple Keys is as much a book of poetry as an album. These songs would best accompany the aforementioned rain storm, or a nice quiet living room of friends with a bottle of whiskey as the centerpiece. The arrangements are gorgeous and often haunting. The vocals are smooth with subtle jagged edges that elucidate a quiet underlying urgency. And there's a lot of heart here, bleeding, pumping, fighting to live and love. If you aren't listening to this, you should be. There is a release party for this album on Saturday July 14 here in Denver. You can listen to the album via ReverbNation, here.